Information for the on-going research “Uptake of agricultural technologies and best practices amongst farmers in Battambang and Pailin provinces, Cambodia” can be found at the project Farmer Decision Making. Below is information concerning the Small Research Activity (SRA) that Bob Farquharson and I rand as a pilot for the larger project running 2017 – 2020. This small research and development activity (SRA) will engage with Cambodian smallholder farmers and experienced researchers in Cambodia and Australia to explore the social, economic and cultural context for technology adoption and change in contrasting Cambodian agro-ecological zones and farming systems. 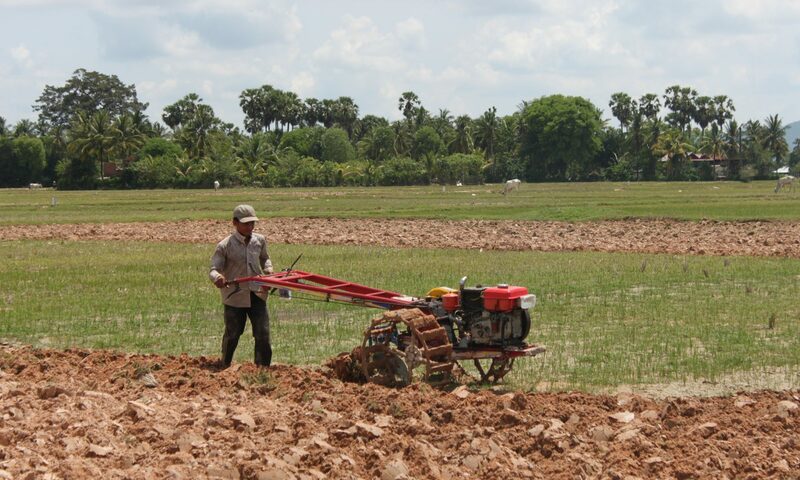 Despite a significant research effort over more than a decade in lowland and upland regions of Cambodia, there has been little adoption of more productive farming systems based on research conducted within the country. There is an apparent disconnection between known technological advancements and farmer choice, as well as a disconnection between farmers and those who study their decision making pertaining to the adoption of new agricultural technologies. The decisions made by farmers, and their decision-making processes, have been extensively studied in developed and developing countries, but not in an integrated manner nor in a way that treats farmers as legitimate partners with genuine knowledge and concerns. This research has shown economic incentives to be influential, but decision rationales to be more far-reaching. There are numerous valid reasons for why such adoption and change has not occurred, but we do not know how Cambodian farmers make those decisions. Farmer motivations and consideration of their mitigating factors remains poorly connected to efforts to modernise the agricultural system. Further complicating our limited understanding of smallholder farmer decision-making is the variability of farming practices rooted in geography (i.e. upland and lowland locations) and livelihoods (i.e. subsistence or commercially oriented). Two social research methods (focus groups and ethnographic research) will be compared in testing a social, economic and cultural framework to represent Cambodian smallholder farm families’ perspectives on development and change. The overall objective of the SRA is to improve understanding of Cambodian smallholder perceptions of new technologies and management change. Such improved understanding will strengthen R&D activities that target poverty reduction and food security through better understanding of farmer perceptions, values, and motivations to change. What are the individual and collective perspectives of Cambodian smallholder farmers with respect to their agricultural livelihoods and how do their worldviews shape the adoption of technology and perspectives on change? What are Cambodian smallholder farmers’ perspectives with respect to technology adoption and change? What factors influence and constrain Cambodian smallholder farmers in considering change and innovation? What are the social, economic and cultural factors relevant for Cambodian smallholder farmers in considering change and innovation? What are typical behaviours (from a social, economic and cultural perspective) in farm-level decision-making? Do Cambodian smallholder farmers’ decisions vary between uplands and lowlands, and between different types (complexities) of technologies? What are the implications of migration and farm labour supply on farming systems management and decision-making? Are there improved ways of engaging with Cambodian smallholder farmers in terms of their social, economic and cultural framework for decision-making?